Nineteen-year-old Annabelle Worthington was born into a life of privilege, but everything changed on an April day in 1912, when the sinking of the Titanic altered her world forever. Finding strength within her grief, Annabelle pours herself into volunteer work, igniting a passion for medicine that would shape the course of her life. But for Annabelle, first love, and a seemingly idyllic marriage, will soon bring grief caused by the secrets of her husband. Betrayed, and pursued by undeserved scandal, Annabelle flees New York for war-ravaged France, hoping to lose herself in a life of service. There, in the heart of the First World War, in a groundbreaking field hospital run by women, Annabelle finds her true calling, studying medicine and saving lives. When the war ends, Annabelle begins a new life in Paris -- now a doctor, a mother, her past almost forgotten ... until a fateful meeting opens her heart to the world she had left behind. 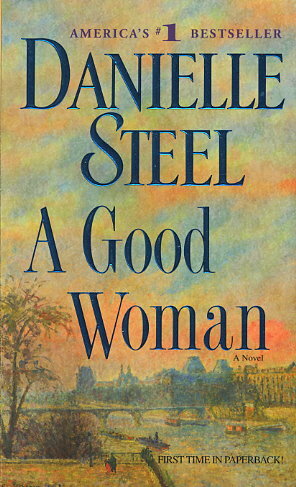 Filled with breathtaking images and historical detail, Danielle Steel's new novel introduces one of her most unique and fascinating characters: Annabelle Worthington, a remarkable woman -- a good woman -- who triumphs against overwhelming odds. More than compelling fiction, her story is a powerful celebration of life, dignity, and courage -- and a testament to the human will to survive.